Going for a walk can be one of the most exciting parts of a dog’s day, but some pups just need to feel the wind in their fur. 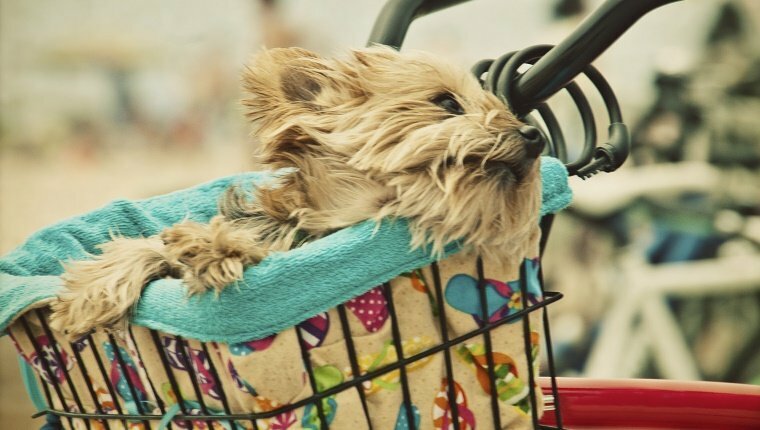 A bicycle ride is a fun way to spend time with your pooch outside, get some exercise, and fulfill your dog’s need for speed. But it’s important to stay safe. 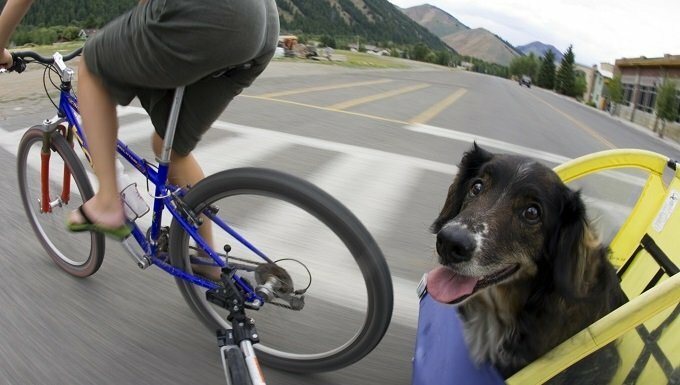 In addition to following basic biking safety guidelines and obeying the rules of the road, there are some additional safety measures you’ll need to take when you bring your dog along on a bike ride. 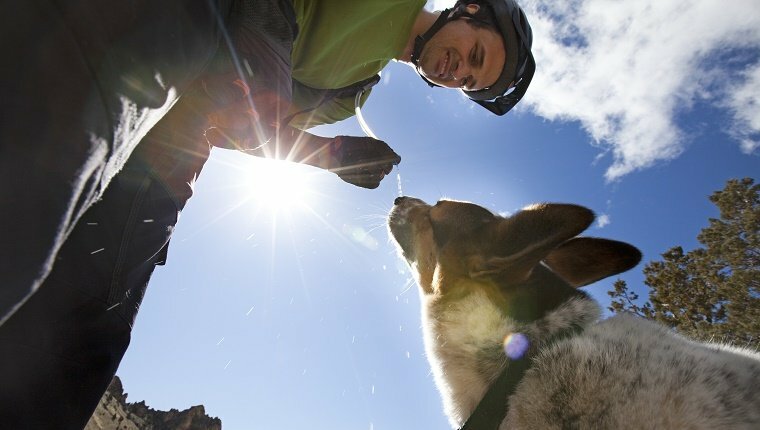 Here’s what you should do to stay safe while biking with your dog. 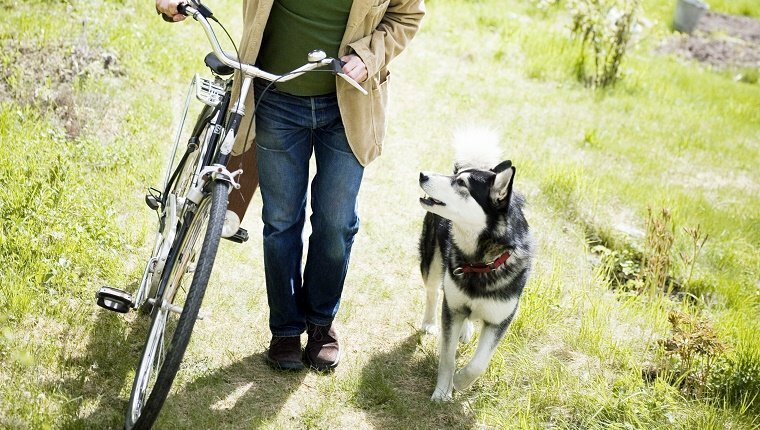 If you want your pooch to trot along next to you while you ride your bike, there are a lot of things you need to do before you even set foot outside. First, take a look at your dog. If he’s is prone to breathing problems, which are especially common in short-nosed dogs, don’t even think about putting him through that much physical stress. If your dog is small or has short legs, he’ll probably be needing to work too hard to keep up with you, so biking is not the best way to give him exercise. And if your dog is overweight, starting at such a physically demanding level is unsafe. No matter what kind of dog you have, take a trip to the vet for a checkup and see if your pup is healthy enough to run. In addition, your dog must be a completely comfortable and well-behaved walker. Dogs that are easily distracted or bolt after other dogs or animals can pull hard and easily cause an accident. An untrained dog should absolutely not go for a bike ride. 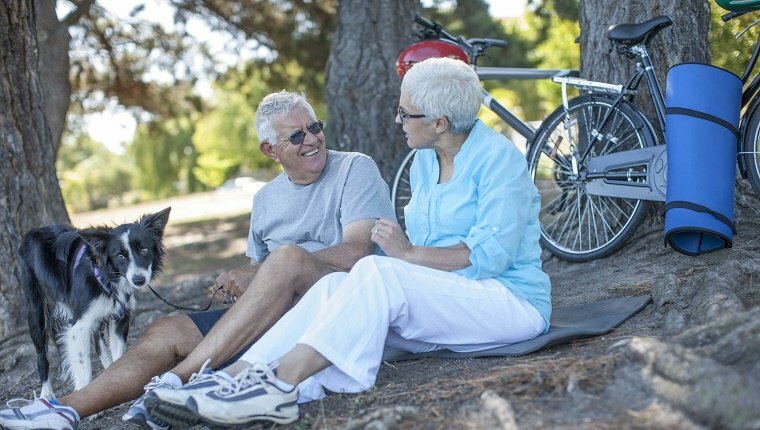 A non-tangling leash or leash holder, preferably one that attaches to the seat or rear axle–under no circumstances should you attach the leash to your handlebars, as that’s an accident waiting to happen. After you’re all set, it’s time to check the terrain. Is your path grass or pavement? If it’s pavement, check to make sure the ground isn’t too hot or your pup’s paws can get badly burned. If it’s an unpaved path, check to see if there are rocks, broken glass, or sharp objects on the ground. If so, choose a safer route. Now you can finally take your dog outside with you. But don’t start riding yet. Walk your bike along next to your dog to get him used to it. Start practicing your commands like “slow,” “stop,” or “run.” You should continue to use this as a chance to review skills and do a short warm-up walk even when your pup is experienced with running next to your bike. Your dog probably won’t be used to this vigorous exercise, so ride slow while your pup is getting used to it. 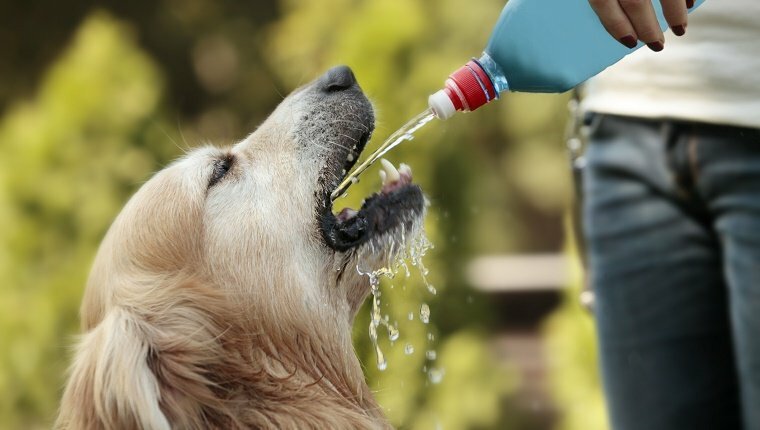 Stop if you see signs of dehydration or fatigue, including excessive panting, drooling, or struggling to move. Keep an eye on your dog and look out for distractions so you can react if your dog pulls. Take breaks, stop for water, and stay at a pace that your pooch can handle. This is not about you getting somewhere, this is about exercise for your dog and all of your attention should be on your the road, safety and your dog. 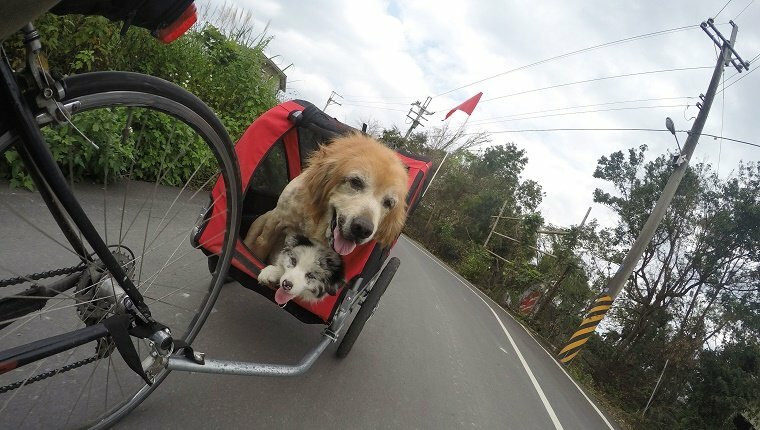 If your dog doesn’t need the exercise or can’t keep up with your bicycle, there are still ways you can bring him along for the ride. You’ll have to make sure you choose the right option that works for you and your pup. As with riding alongside, you’ll need to first take a look at your dog. Make sure he’s well-behaved and capable of calmly enjoying the ride. If he shifts too much or attempts to escape, it can throw you off balance and cause an accident. Also, take a look at your dog’s size. This will determine what kind of equipment you’ll need. 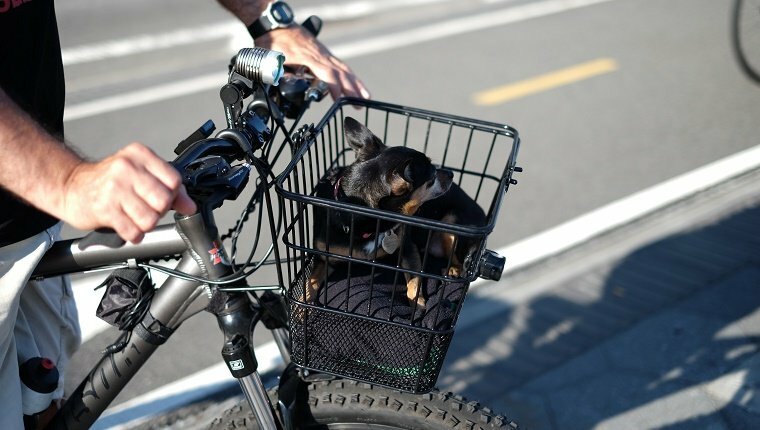 Baskets are usually attached in front of the handlebars or on the back rack of the bike, and they’re for smaller dogs that don’t need a lot of space. The same is true of many carriers that can attach to a bicycle. Just make sure your dog is comfortable, and make sure you can compensate for the added weight while riding and get used to the feel of it. You may want to place something else that weighs about the same amount as your dog in the basket before you take him with, just for practice. For dogs that are too big for a basket or carrier, you should get a trailer that is pulled behind your bike. Take a look at the weight capacity before you buy one and make sure your pup will fit. You should try a ride with the trailer attached and leave your dog at home so you can get used to the feel of it. You, your bike, and any trailer or carrier should be as visible as possible with lights and reflectors. Bring a first aid kit just in case and extra water. Make sure you stop frequently for your dog to go potty and take water breaks. And whether your dog runs alongside you or you use a carrier or trailer, make sure to end the walk with lots of praise and rewards for a job well done. What kinds of safety tips do you have for someone riding with their dog? Let us know in the comments below!